Okay, here’s the Broke and the Bookish theme which is making the rounds today: Top ten authors where you’ve only read one book by them, even though you loved that book. Interesting theme! I like it! Here’s Shae’s list, and here’s Heidi’s — these are the two that I spotted this morning. Can you believe that both of these bloggers have read one-and-only-one book by Robin McKinley? I’m sure it varies, and I imagine (a) is not that common a reason. I might do that if the author is deceased. In fact, I do: I have never read KINDRED by Octavia E Butler, and there are several by Rumer Godden that I am putting off for the same reason. But I’ve read a lot more than one title by each author! But I am not fundamentally a parcel-them-out-slowly sort of reader. I’m a grab-the-whole-backlist-and-dive-in reader. Hence I had Martha Wells Month last year — or was it the year before? — where I read all her titles one after another, for example, and the same with Andrea K Host, and more recently with Melina Marchetta. Of course sometimes you have only read one book by a great author not by choice, but because it’s their debut, and there ISN’T anything else, and isn’t that simply maddening? At least if you’re like me and tend to tracking down an author’s backlist the moment you fall in love with one of their books. 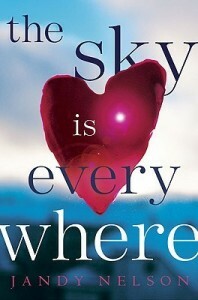 For me, the loved-the-debut category is represented by Jandy Nelson, whose debut was THE SKY IS EVERYWHERE. Wow, I love that book. It’s contemporary YA, not a trace of fantasy, in case that is a dealbreaker for you, but I’ve actually given away three copies to people. And now here is Nelson’s second book, I’LL GIVE YOU THE SUN, just popped up on my Kindle this morning, and I must say, I am actually a bit nervous about reading it, because what if I don’t love it? So that’s partly a category (c) book. 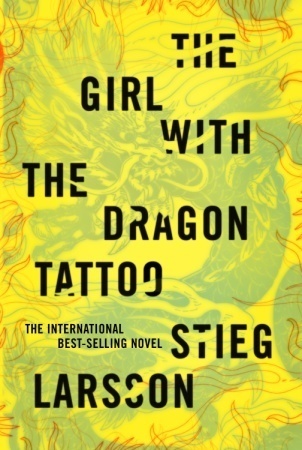 (c) is also stopping me from reading anything else by Stieg Larsson. 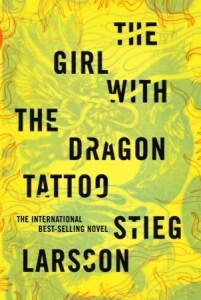 I really did enjoy THE GIRL WITH THE DRAGON TATTOO. I didn’t think I would, because often super-mega-hit books don’t do it for me. But no, I enjoyed it very much. But I liked where the characters ended up, and I’m not at all sure I want to go along for the ride as Larsson puts them through the wringer in Book II, as I assume he will. So I have never picked up THE GIRL WHO PLAYED WITH FIRE. 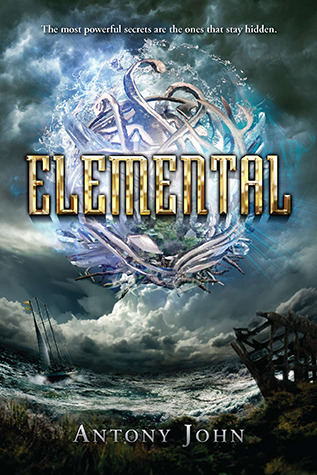 A quite different reason to put off reading books by an author is that sometimes you read one book, love it, but hate pausing while reading series, so then you collect the other books as they come out until the series is complete. For me, this happened with Rae Carson. 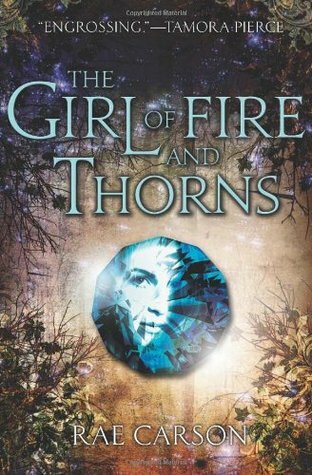 I really loved THE GIRL OF FIRE AND THORNS. I will say, the third book of the series came out last year, but (b) amazing busyness has prevented me from going on with the series. Heaven knows when I will get to it. I really want to. I could make October a Finish Series month because it’s not the only complete series I have on my shelves where I’ve read the first book but no others. 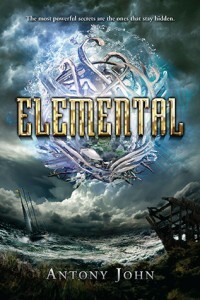 Antony John — I enjoyed FIVE FLAVORS OF DUMB and would like to try his fantasy trilogy. And I will. But I’m not sure when. How about you? Do any authors spring to mind where you’ve read just one of their books, and even though you loved it, haven’t (yet) read any others? And how about it, are you deliberately putting off other titles by that author, or are there just no other titles out there? Previous PostThis just out: adding to the TBR pile	Next PostMost inaccurate internet quiz ever? 2. authors who only have one *good* book, and everybody says so. If you read WATERSHIP DOWN and then never pick up anything else by Richard Adams, it’s probably because you’re listening to everyone who says that nothing else he wrote comes close. I haven’t looked at many of his other works, but I think this is a case where everyone is right. Actually, I guess that’s part of your (c) group. I have read most of Adams’ other books and I must say . . . just stop after WATERSHIP DOWN. Really. The only two authors for me in that category of ‘only loved & read one’ both only have one out so far. i’ll cheerfully pick up a second if they ever put one out. The two in question: Graydon Saunders for THE MARCH NORTH and Heather Dixon for ENTWINED (yet another 12 dancing princesses retelling). You’re certainly on my ‘to read’ list! b. I don’t have either the shelf space or the budget to indulge in a DWJ buying frenzy if I get hooked. Elaine, I’ve probably heard of ENTWINED, and it may even be on my wishlist, but I’m definitely up for another 12 dancing princesses re-telling. [Goes to check wishlist]. 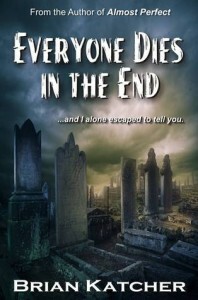 I hope another McKillip novel is on the way. I see she’s attending the World Fantasy Convention this year. If she does a reading or something, I’ll try to go and then maybe I can find out what she’s working on. Hi, Brian! Good! I see you have The Improbable Theory of Ana and Zak coming out next year. Is that the one with the hilarious scene set during some kind of melee at an SF convention? I’m almost sure I remember that from a reading you did a year or two ago. That reading is definitely going to make me read that one sooner rather than later! Cheryl, I’m horrified, but I totally understand. That’s why I’ve put off trying Eileen Wilkes’ LUPI series. It’s a pretty long series to commit to. On the other hand . . . go read DOGSBODY this minute. And THE POWER OF THREE. (At least, when you do read those, I hope you won’t be disappointed.) BTW, a lot of writers named ARCHER’S GOON as their top DWJ pick during a memorial panel. That’s not my favorite, but hey, thought I’d mention it. Cheryl, I second DOGSBODY & POWER OF THREE, and add HOMEWARD BOUNDERS. ARCHER’S GOON has somewhat more humor than some of the others, which may be why lots recommend it. I do not recommend HEXWOOD particularly because it’s really convoluted & I don’t think she pulled it all off. I agree about HEXWOOD. It’s really *interesting*, but I don’t know that it actually works. I KNOW the McKinley thing is all sorts of sad. For me there are several things that hold me off. One, I don’t actually like reading multiple books by an author in a row, I get burnt out. Even if I’m reading a trilogy or something I’ll usually read at least one book in between or I find myself getting worn out with the world/characters/etc. For another, I often have reading obligations with blogging/book clubs/work that make me push other books back. The third thing (mostly my Juliet Marillier problem) is that I love a book SO MUCH that I have to let it really soak in before I can brave feeling so much emotion again. I did get on an insane (to me) Kristin Higgins kick earlier this year and read like 4 of her books in a row (and have since read two more). I did start slowing down once I hit that halfway mark not wanting to burn through her books too quickly! Also, I bought Kindred with birthday money this year! It’ll be my first Butler. Wow, Heidi, that is SO DIFFERENT from me! I almost always read multiple books by one author, and I HATE reading other books between those of a series. Readers do keep being different!